Warning: This story contains details that some may find disturbing. 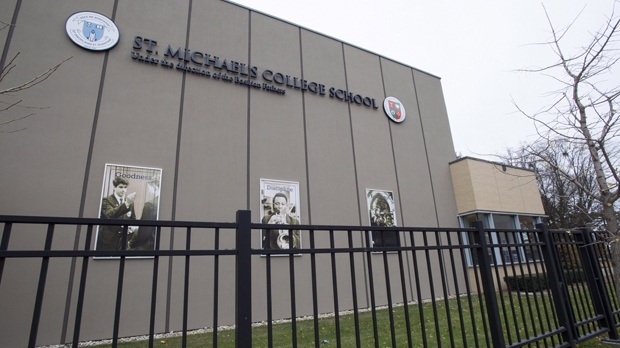 Police say that they have charged five teens in connection with an investigation into a second alleged sexual assault with an object at St. Michael’s College School. The teens, who cannot be identified under the terms of the Youth Criminal Justice Act, were arrested on Wednesday and each charged with one count of assault, gang sexual assault and sexual assault with a weapon. 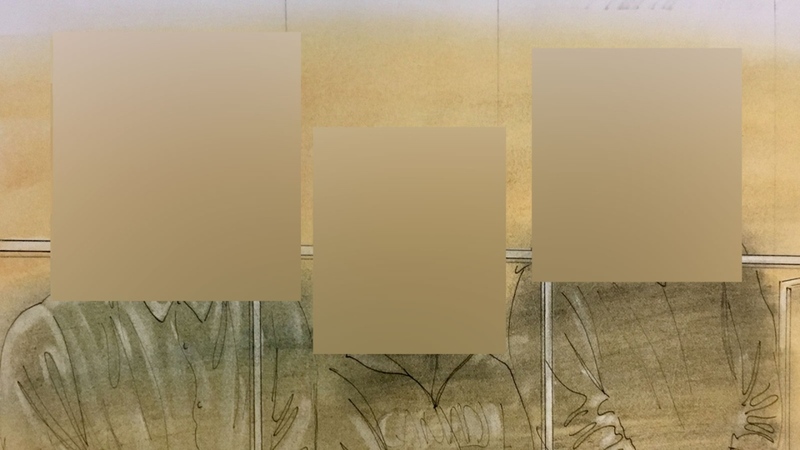 Police say that four of the accused were among the six people arrested in connection with another investigation into an alleged sexual assault with an object in November. The fifth teen had not been previously arrested and surrendered to authorities on Wednesday morning. Police also announced charges in connection withanother assault with a weapon investigation at the school. Two teens were charged in that case. Police say both of the parties were also among those charged in connection with the first sexual assault investigation in November, though it is unclear whether they are among those charged in the second sexual assault. According to police, all of the incidents in which charges were laid involved members of one of the football teams at St. Michael’s College School. The charges that were laid last month pertained to an incident that occurred on Nov. 7 inside a locker room at St. Michael’s College School. The incident was captured on a video that had been circulated on social media prior to police beginning their investigation. CP24 has previously confirmed that the video appears to depict a student being sexually assaulted with a broom handle in a school locker room. Speaking with reporters on Wednesday, Sinopoli said that the second alleged sexual assault took place in a school locker room on Oct. 17 and was “similar” to the other incident but involved a different victim. He said that police believe the Oct. 17 incident may have also been captured on video and distributed online but he said that investigators are not in possession of that video. Sinopoli said that police are still “actively investigating” the fact that the November sexual assault was captured on video and subsequently distributed. He added that police will be “relentless” in tracking down and charging anyone found to be distributing the video. “Despite repeated warnings we have credible evidence to suggest that people are still in possession of this video and/or have made attempts to upload it onto social media. As I have stated, the video and its distribution is a constant reminder to victims of the trauma they have endured. In many ways this could be far more detrimental than the assault itself,” he said. The principal and president of St. Michael’s College School both resigned last month amid criticism regarding the school’s handling of the incidents. Principal Greg Reeves, in particular, was the subject of scrutiny for not notifying officers about a video depicting the initial alleged sexual assault until two days after he received a copy of it on Nov. 12. At one point Sinopoli did tell reporters that Reeves was wrong not to report the incident sooner but on Wednesday he said that there are no grounds to lay charges against Reeves or any school official in relation to their duty to report under the Child, Youth and Family Services Act. “We are grateful to the Toronto Police Service for identifying the suspects and concluding the investigation. 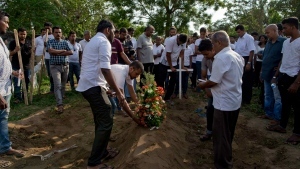 We are committed to understanding why this behaviour happened and what led to it, and to putting measures in place to ensure it does not happen again,” Fr. Andrew Leung said. The school also cancelled the junior and varsity football team seasons for the 2019-2020 academic year, as well as the 2018-2019 varsity basketball season. “Our school community prays for everyone involved and their families during this difficult time,” Leung said in his statement. All seven students facing charges in connection with the incidents at St. Michael’s College School appeared in court on Wednesday and were released into the custody of their parents until their next appearance on Jan. 28. One lawyer who attended court on behalf of the student that was arrested for the first time on Wednesday morning told reporters outside the court that his client is overwhelmed by the serious nature of the charges against him. 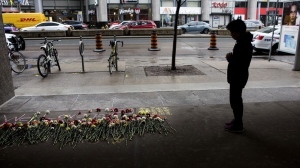 “You can imagine what any 15-year-old would feel facing these type of charges. These are very serious charges and he is probably a bit overwhelmed by it,” Nicholas Xynnis said. Police have said that they identified 80 witnesses and conducted 60 interviews as part of their investigation into the incident at St. Michael’s College School. 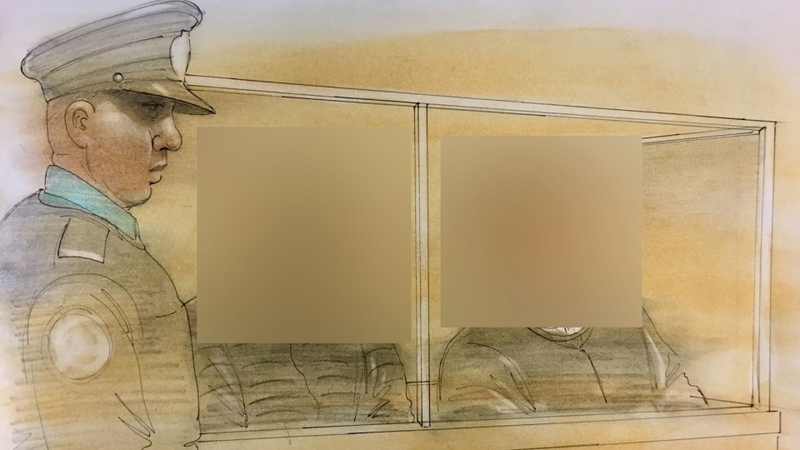 Two of the accused in an investigation connected to St. Michael's College School appear in court on Wednesday, Dec. 19, 2018. Three of the teens accused in an investigation connected to St. Michael's College School appear in court on Wednesday, Dec. 19, 2018.